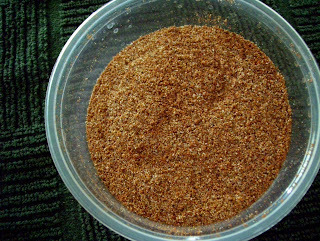 The flavor of freshly ground pepper is wonderful and fragrant, but I also love a delightlful, pre-ground pepper blend called 21 Seasoning Salute. It is sold under the Trader Joe's label. As its name suggests, this blend has 21 ingredients - many of which I would not ordinarily think to use. I also love some of the blended herbs and spices sold in divided containers with individual lids that open to expose the selected section. These can be found in most grocery stores. Some of the spices are to be mixed with olive oil and vinegar to create a dipping sauce. However, I find these the seasonings are especially wonderful sprinkled on meat, poultry or fish as well as on salads and egg dishes. Want to use up some of your pre-ground herbs? 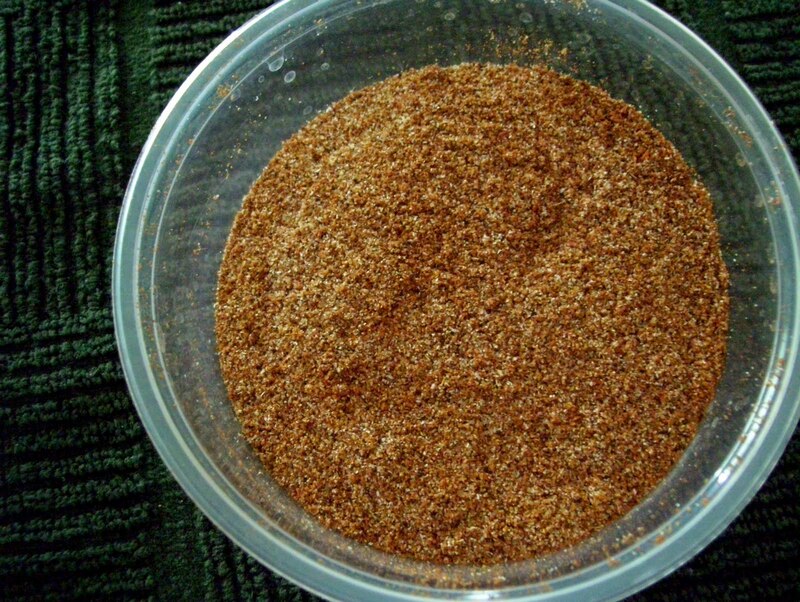 Here is a great recipe - taco seasoning.This seasoning is wonderful and the flavor much better than anything sold in those little 'bags'. Combine the ingredients above in a lidded container. Put on the lid and shake to combine well. Store in a cool dry place for up to 6 months. To use: Add 2/3 -3/4 C water to 1 lb ground beef which has been browned and drained of fat. Add 8 tsp of the seasoning mix. Bring to a boil and simmer, uncovered until the mixture is a good consistency for filling tacos. Taste and adjust seasonings if necessary.